Home > Posts tagged "metal stage"
According to a comment on the Sziget Festival Official Facebook page, the names for Metal Day are coming early next. As you can see below, a user has asked the organizers when the metal names would announced, and the answer was “early next week”. Well, let’s keep our fingers crossed for something good! (thanks, andy!) On the other hand, another name is selfconfirmed. Firkin are writing on their Facebook that they’re playing Sziget 2012. (thanks, Dreher) The date written is August 9. 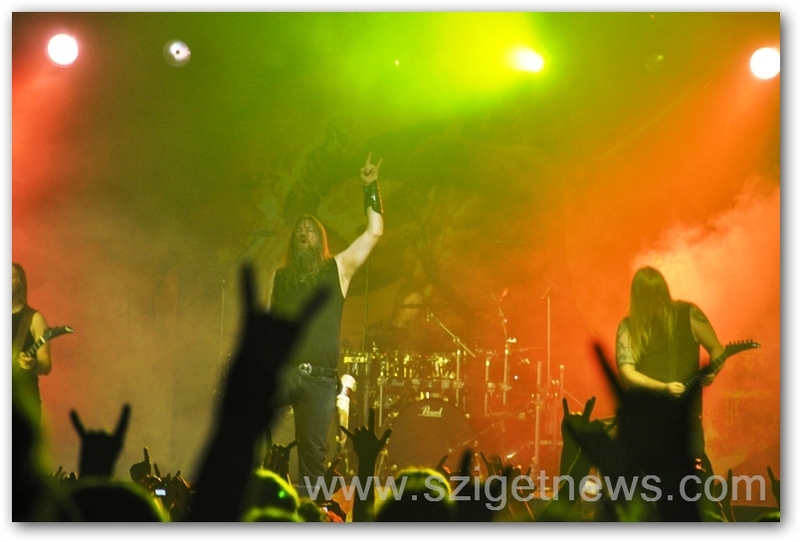 Metal bands for Sziget announced in two weeks! The official Sziget website lists a few new names for the Rock & Metal Stage. We're talking about a few Hungarian bands, completing the lineup, but also two bands a band coming from other countries. The foreign band is Swedish/Danish Progressive band The Haunted - pictured below. The Hungarian bands are Road, Dalriada, Depresszio, Nevergreen, Omen, Subscribe and Superbutt. The Lord band listed is also a Hungarian one, and they are listing the Sziget date on their website (thanks, dakota). Of course, these bands will be in our Sziget 2011 line up page very soon.